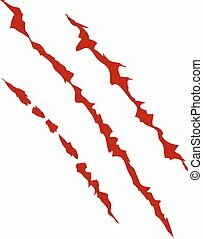 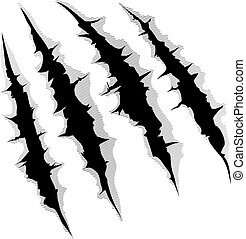 Claws damage metal. 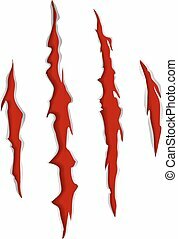 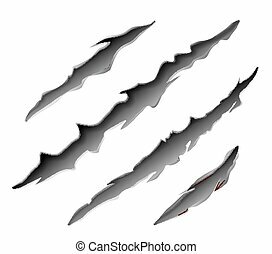 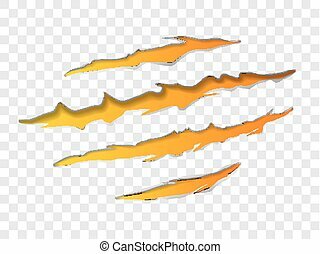 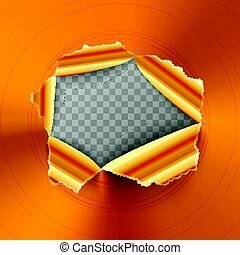 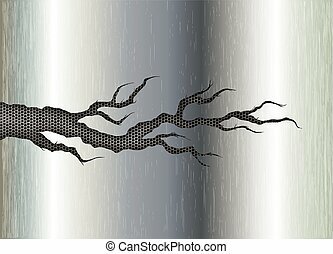 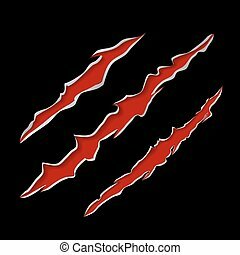 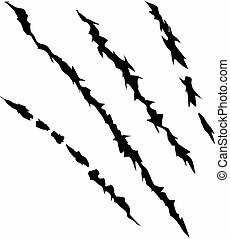 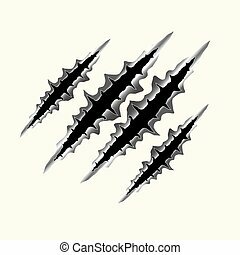 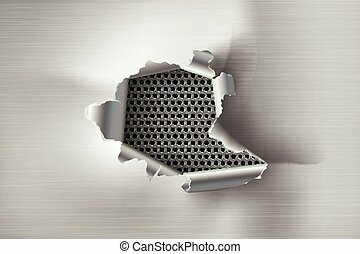 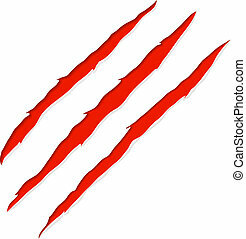 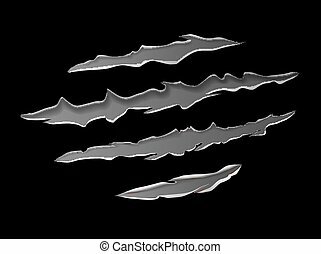 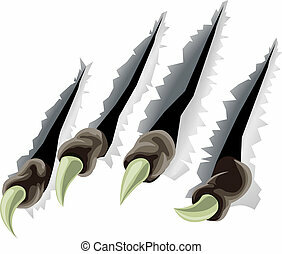 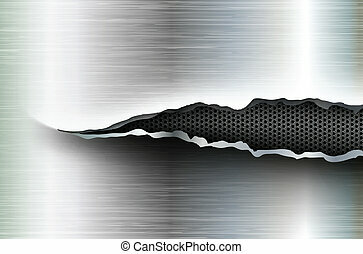 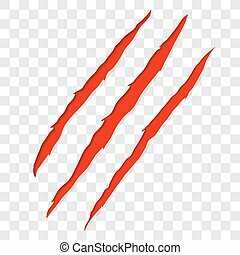 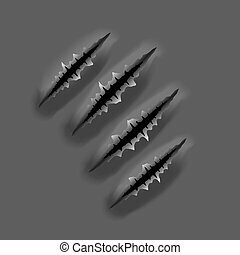 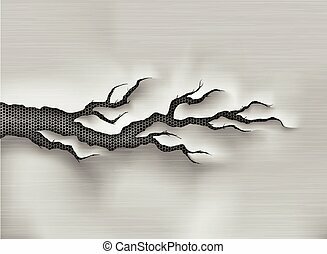 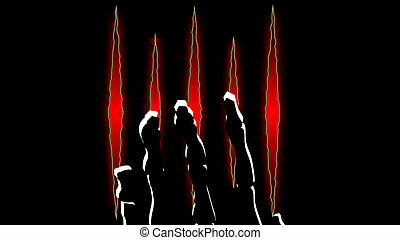 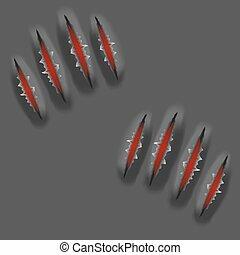 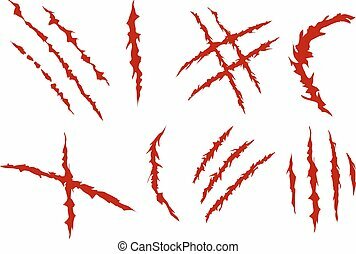 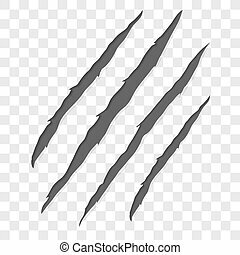 Monster or animal claws damage metal torn on black background, vector illustration. 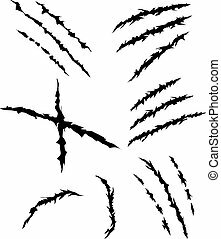 Hand and cuts from claws, vector art illustration. 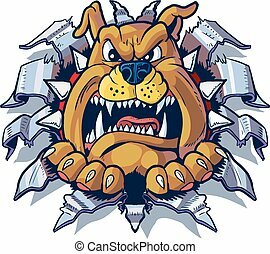 Vector cartoon clip art illustration of an angry bulldog with a spiked collar ripping, punching, or tearing through aluminum or chrome steel sheet metal. 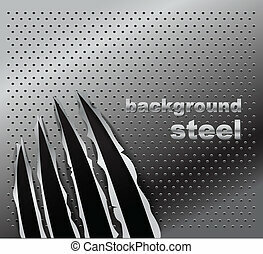 Traces of an animal claws on steel background. 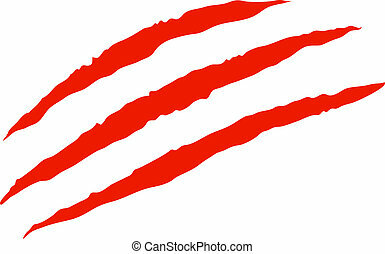 Ready for a text. 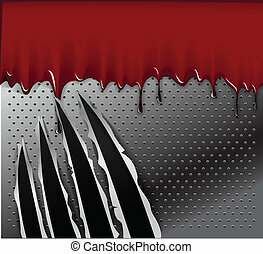 Traces of an animal claws and blood on steel background. 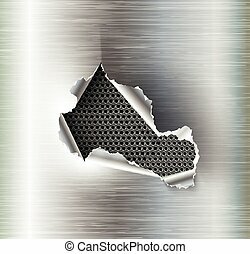 Ready for a text.